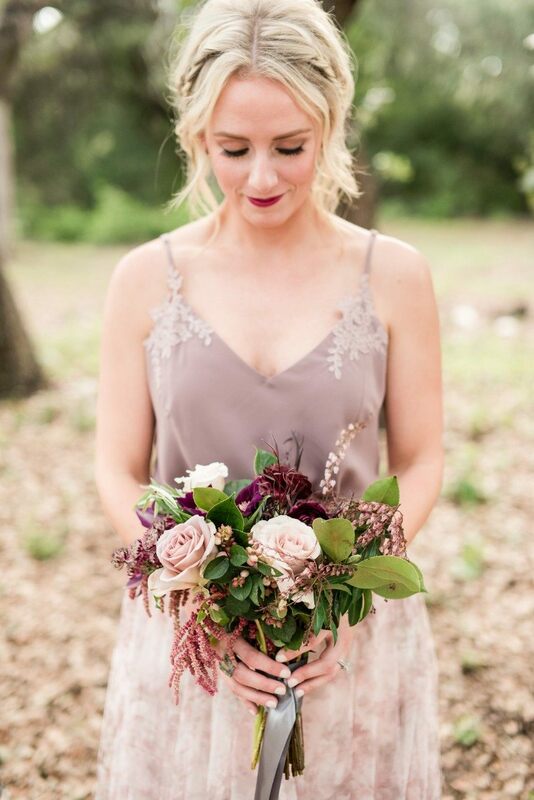 Ask The Expert – Q&A With Austin Wedding Planner Eclipse Event Co.
Today, we are having chat with wedding planner Kristi DePew from Eclipse Event Co. about all the must-knows when it comes to planning for your big day. 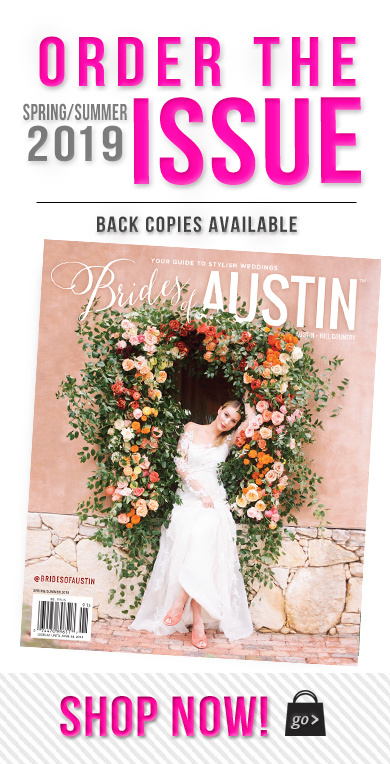 From the biggest 2019 trends to the best of the best in venues, Kristi is giving us the best advice on everything you could ever want to know about the planning process! Keep scrolling to read our Q&A! Mauve is the new blush! Mauve, dusty rose and richer, less soft pinks are making their debut as the new color of the year. We are also seeing our clients embrace a more jewel-tone color palette and opting for less common floral elements, like frozen floral in ice sculptures, unexpected floral inside lucite cake stands and cocktail tables, as well as non-traditional personal floral. An example of this is having their bridesmaids carry a brass hoop adorned with a small floral accent as opposed to the more common bouquet. We can’t forget about mixed wedding parties! Groomsmaids and Bridesmen are making a statement, showing us that it’s who you love that really matters most, above tradition. We are still seeing a lot of greenery as a trend but we are looking forward to embracing the new trends popping up, such as iridescence in your glassware and gowns. Many of our brides are embracing new trends like hi-low gowns. Another big trend I see making an uptick is a bowtie or jacket change for the groom! Brides have long been able to change into a more “fun” reception dress, but now is the time for the groom to shine! A wedding planner is essential in helping your dreams become a reality. Even the best laid plans need backup plans! Working with a planner can help alleviate stress, save time and offer suggestions that they are trained to know – like being “in-the-know” about the latest offerings that vendors have in their respective cities, newest rental items and how to source specific looks and decor that our couples may have seen in a magazine or on Pinterest that they might not necessarily know where to find. 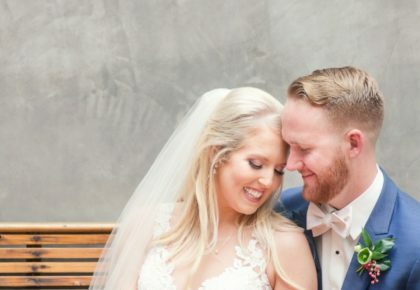 We are able to connect them with vendors who are able to deliver their wedding vision within their allocated budget and who have been personally vetted for professionalism and the quality of their work. You do not want to trust the biggest party you will ever throw to a random Google search! Ask the experts. Lay out your priorities early on in the planning process and plan to create around what those are. 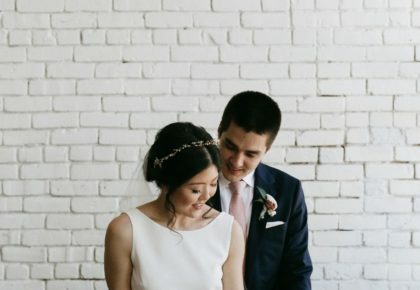 I often tell my couples to list their top three wedding elements, in order, and have them do this independently without asking their fiancee. This helps keep them honest with themselves and allows them to be free-thinking without settling for what the other person has prioritized. After these are laid out is the time to compare notes and see how they align. More often than not they have 1 or 2 in common, but if not, it allows them the opportunity to get on the same page early on in the process so that they can avoid the headache of a possible misunderstanding later on down the road once vendors have been booked and money has been spent. The easiest way to ensure a cohesive look is to do three things. Throughout the process, trust your vendors and ask for suggestions. Come prepared with a color palette, and make sure it is just that – a palette. Being stuck on one specific shade of blue will only make you feel frustrated that colors don’t match exactly and that there are elements that you cannot control. For example, dye lots for linens or bridesmaids gowns, as well as floral that comes in the shade that nature provides. Paper will never take the ink the same way that chiffon takes on dye. Ask your vendors for suggestions around the range of colors you like and they will be able to offer advice on how to achieve your end goals. Some of my personal favorite ways to personalize a wedding are the details that make it fun for your guests. Think beyond the hashtag sign and cocktail napkins with your wedding date on them. Embrace fun facts about you and your fiancé and have those printed on the napkins instead. Instead of the hashtag sign being on your gift table, create a geofilter for your wedding guests to use on Snapchat or Instagram, and make “instagrammable” moments. Instead of a plain backdrop for your photo booth, create a floral wall (you can even rent these now!) or provide guests with wedding “swag.” Use that hashtag on T-shirts that the guests are handed towards the end of the evening. Make hashtag pins! 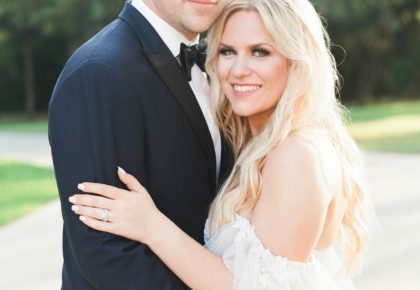 Create a Fat Head or a life-size cutout of you and your fiancé to add to the photo booth, or hire a mobile photo booth, where the photographer live-projects the photos on the wall as he or she walks around with their halo ring camera. Embrace the technology: guests want to be wowed, and there are so many fun options available these days. Rent mobile charging stations where guests can plug in. Have your guests wear GoPros and capture the wedding from their perspective. Anything that gets guests interacting and feeling like a part of your wedding will keep them raving about how “different and fun” your wedding was. When selecting the perfect wedding venue, you first have to determine a few key elements: guest count, whether you want ceremony and reception at the same venue, whether the ceremony and reception are indoors or outdoors, if the venue provides tables and chairs (to save on delivery fees), if they setup and tear down those tables and chairs, and if they have a good built-in rain plan (creating a solid rain plan at a venue without one can add up very quickly). You should also be well versed with the access times for vendor arrival and departure, how many hours you are allotted, as well as if they require you choose vendors from a specific list or a “preferred” list (keeping in mind that “required” and “preferred” are different). Some venues allow you to bring in outside alcohol as long as it is served by a TABC certified bartender, but others require that you use their in-house bar services (which is ordinarily more pricey than bringing in your own). It is also important to ask about whether they have trash receptacles on site or if your caterer is required to bring trash cans and bags and haul trash at the conclusion of the event. If you plan on using buses or providing transportation you will need to ask about what their protocol is for buses, and if there are any size restraints associated with that. If at any time any of it becomes too overwhelming, you can always hire a planner to tackle these questions for you. Special thanks to Kristi DePew for sharing her advice with us today! 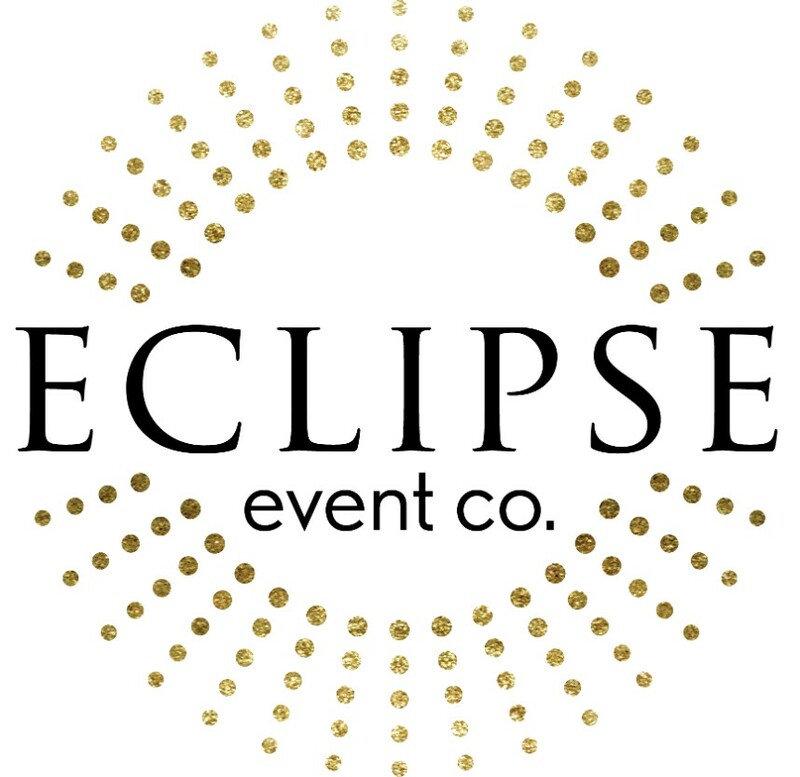 To get in touch with Eclipse Event Co. directly, you can message the team from their vendor profile here.